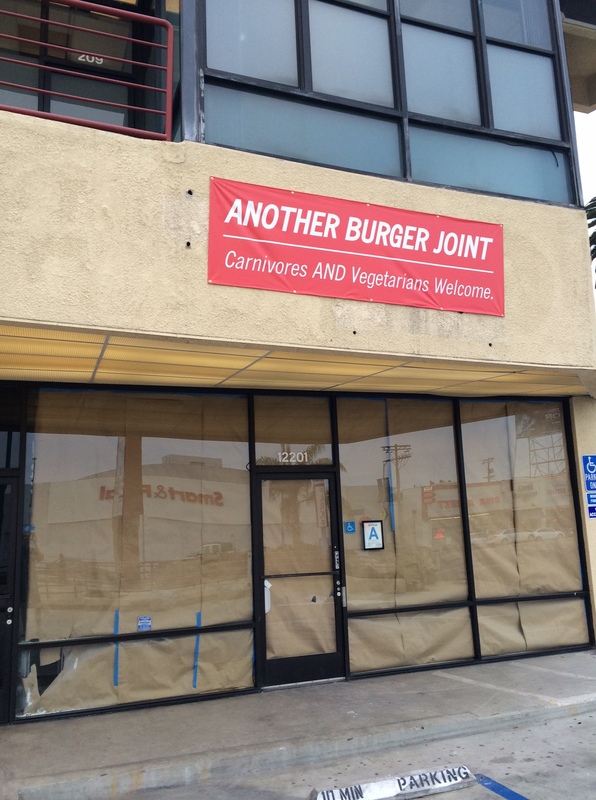 Back in October, I told you about a sign that went up on a storefront in a strip mall at 12201 Santa Monica Blvd. in West LA announcing Another Burger Joint: Carnivores and Vegetarians Welcome. 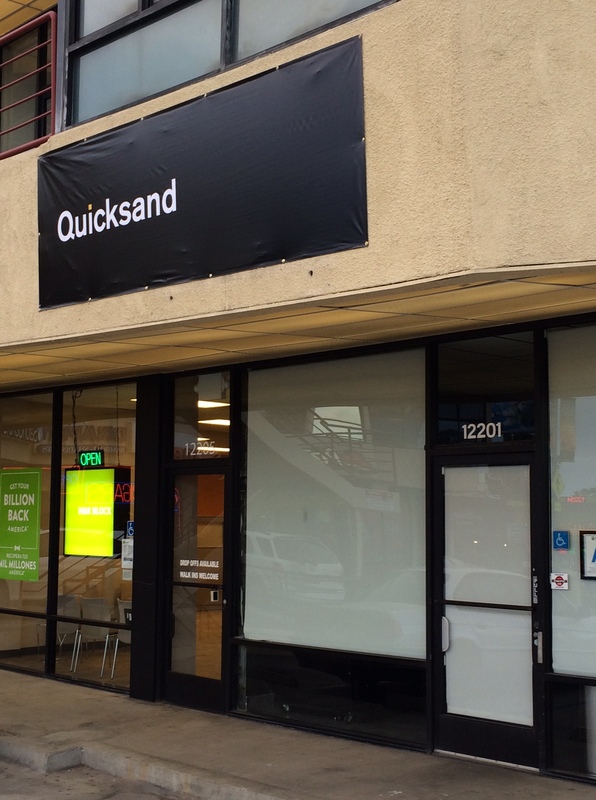 Well, as you can see from the photo, it looks like they’ve settled on a name: Quicksand and they’re shooting for a March 4th opening. Until then, read more about them and check out their menu here.